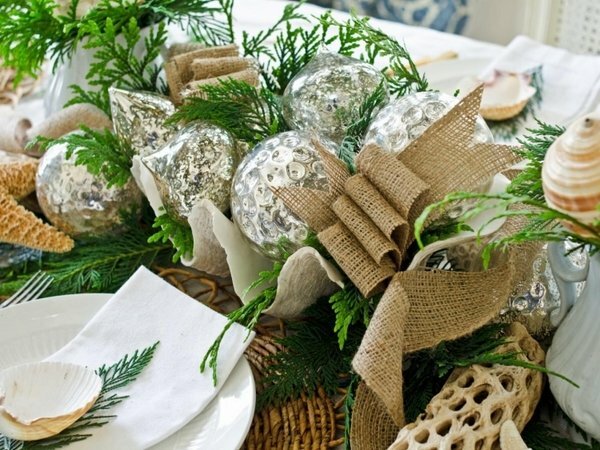 Sometimes we leave the table decoration for Christmas for the last minute, and then we really need quick ideas and inspiration. 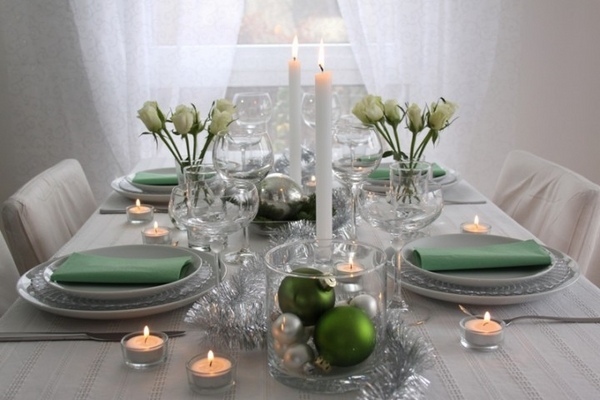 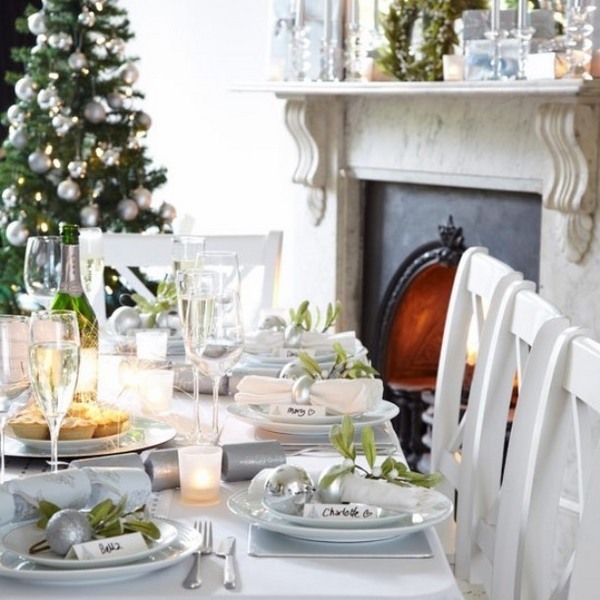 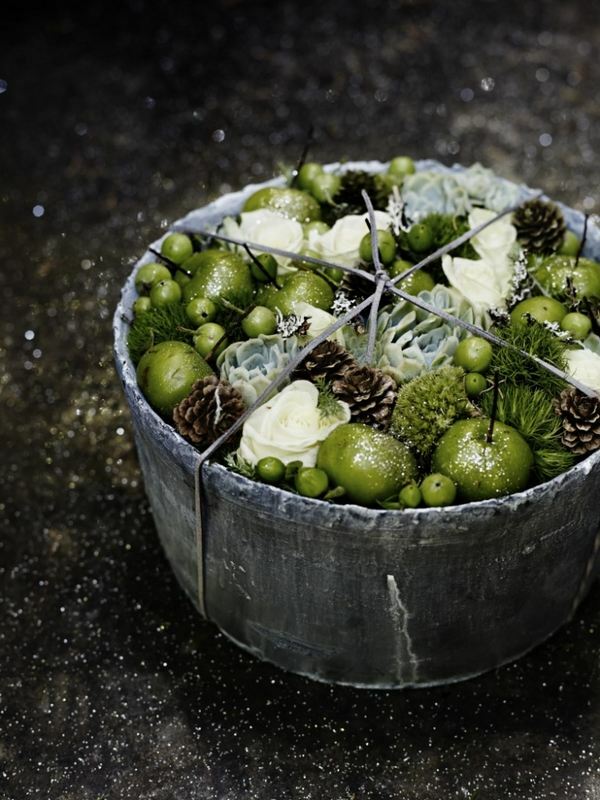 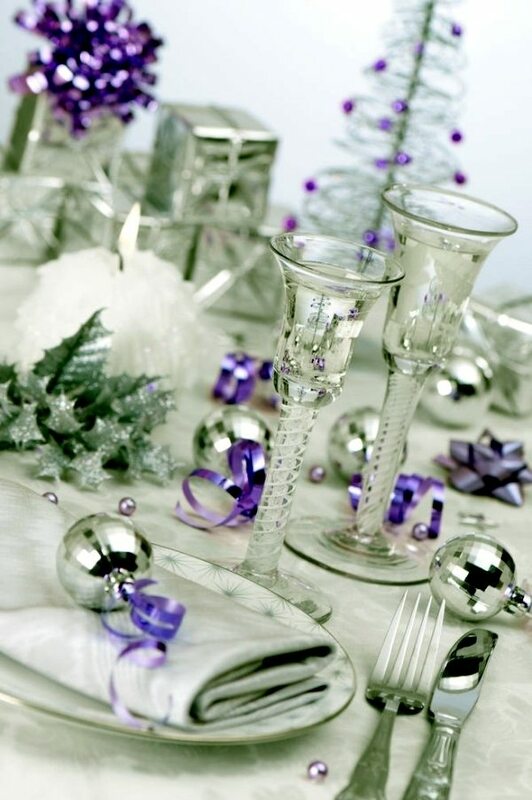 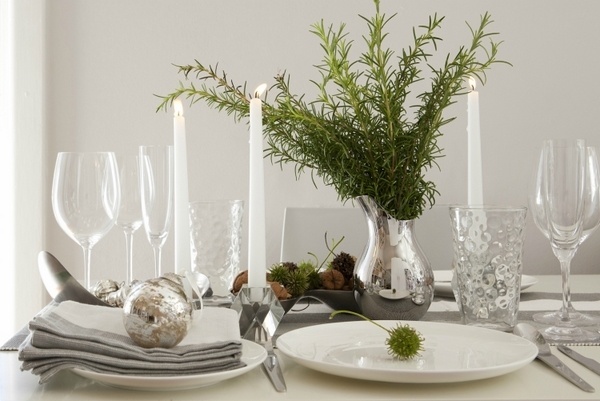 Here you will find simple, yet very stylish examples of Christmas table decoration in silver and green. 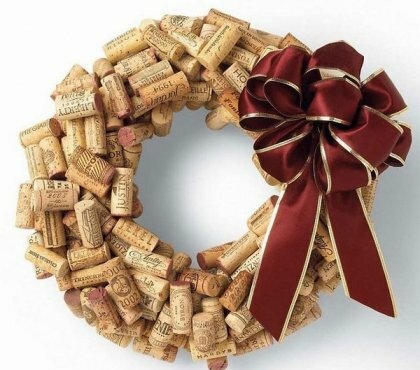 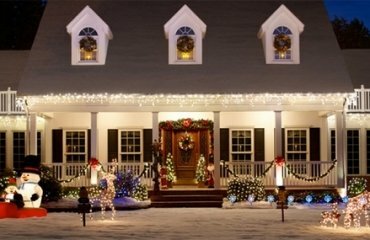 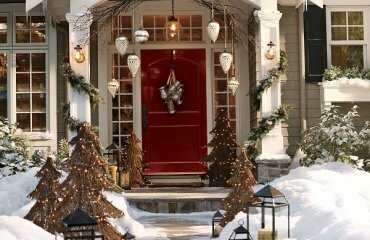 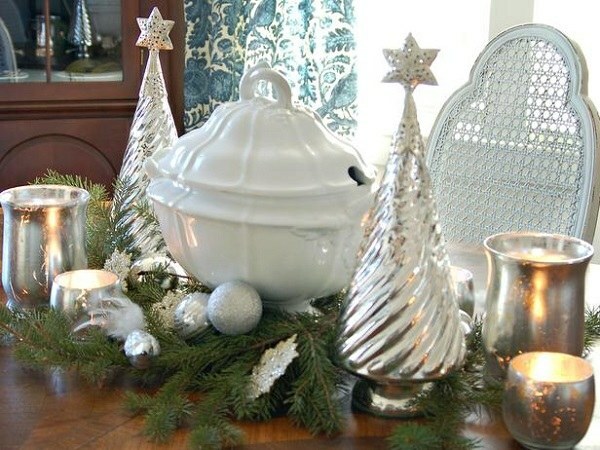 You can find the materials for your modern Christmas decor in either the craft store or you can use various items that you already have but in a different way. 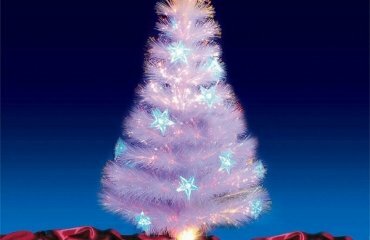 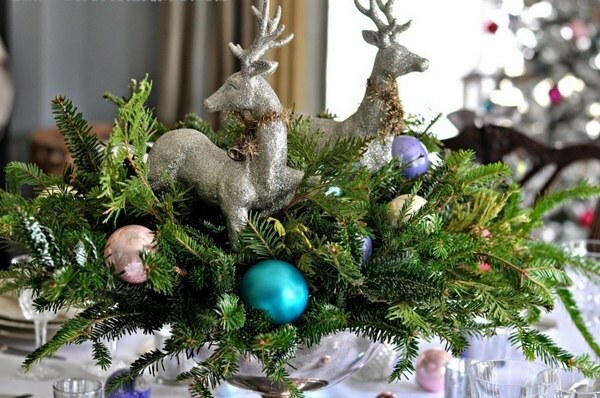 All sorts of fir branches or other evergreen branches are suitable for the purpose and will fit to the color concept. 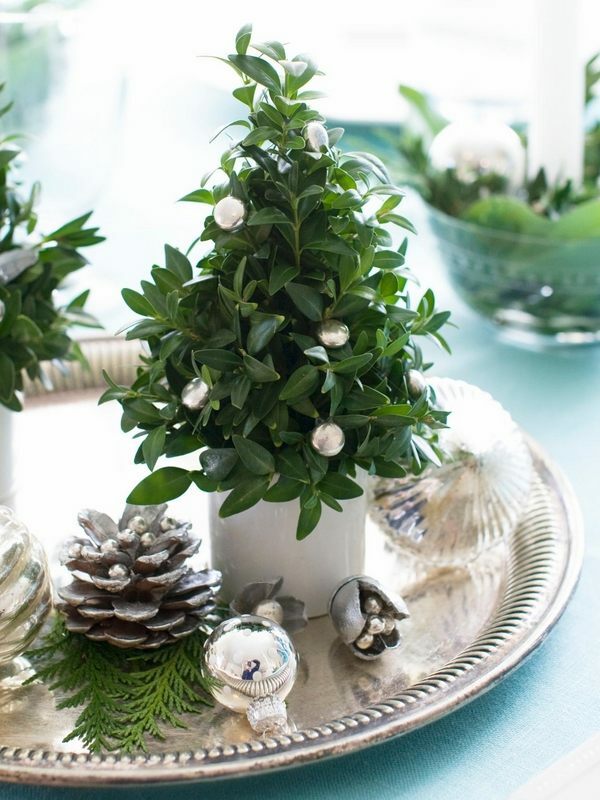 Small decorative plants such as tabletop trees, and the like, can be designed as miniature Christmas trees and they will immediately become a wonderful, sweet table decoration for Christmas. 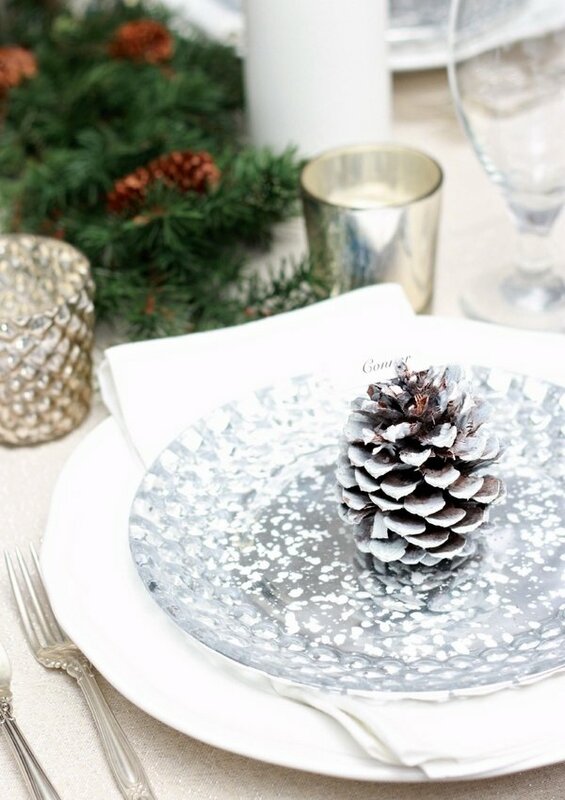 Cones and other natural materials can be easily painted in silver with a silver spray, which can be found at the hardware store. 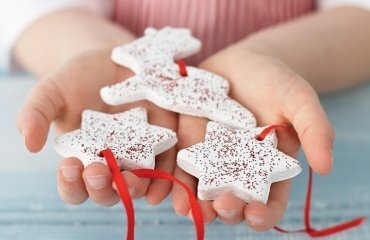 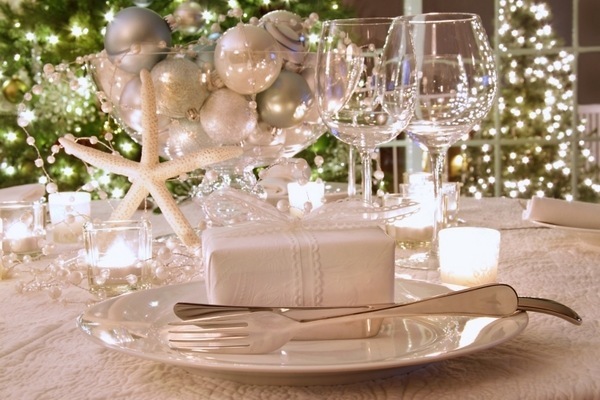 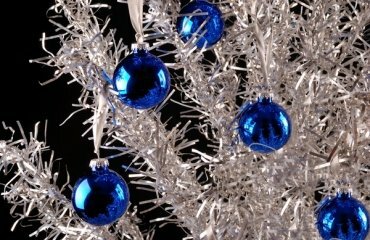 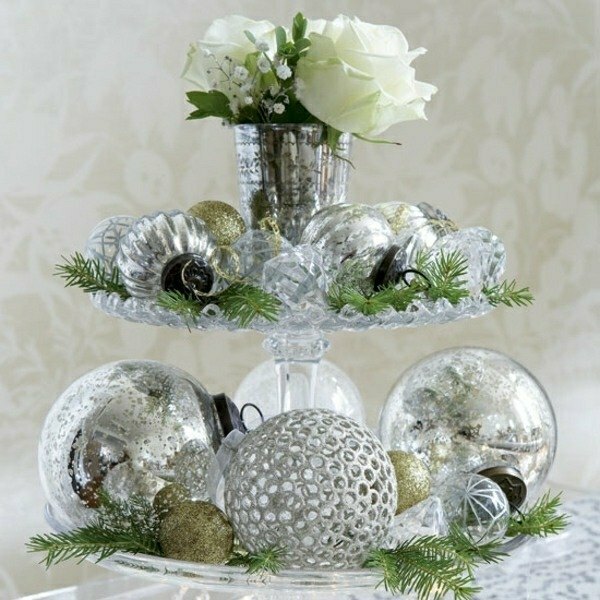 Of course, you can spray anything that would serve as beautiful accents and your Christmas table decoration in silver and green will be elegant and unique. 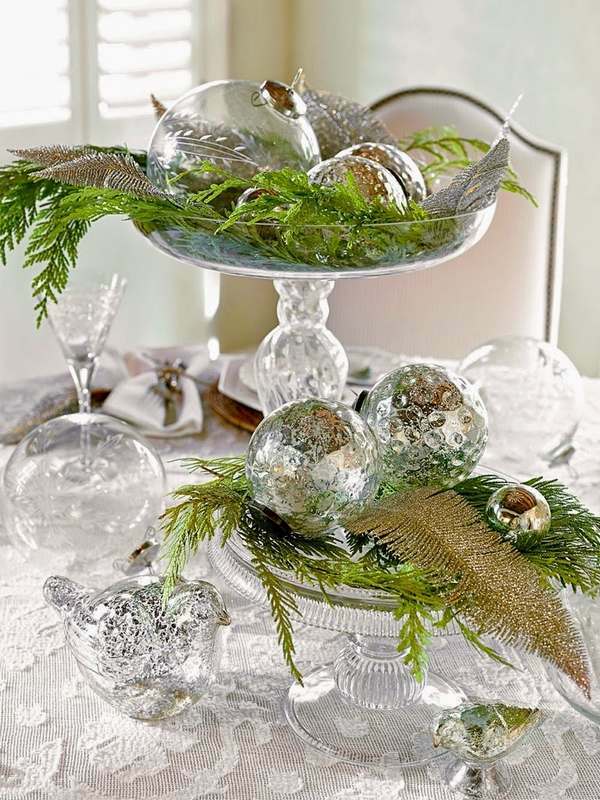 It can be even easier if you arrange several glass balls in silver and green on a tray. 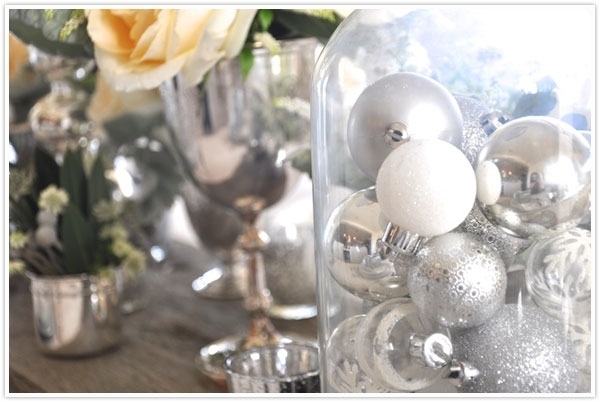 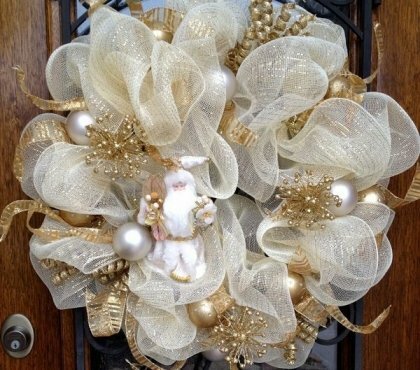 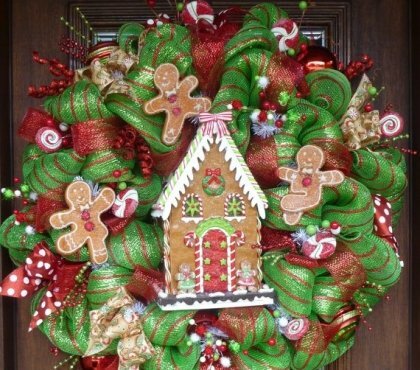 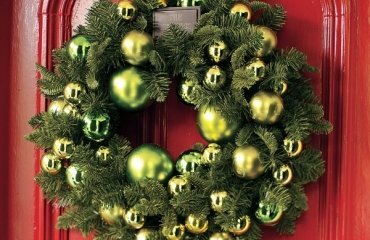 They will reflect the light and their glitter will add to the festive mood in your home. 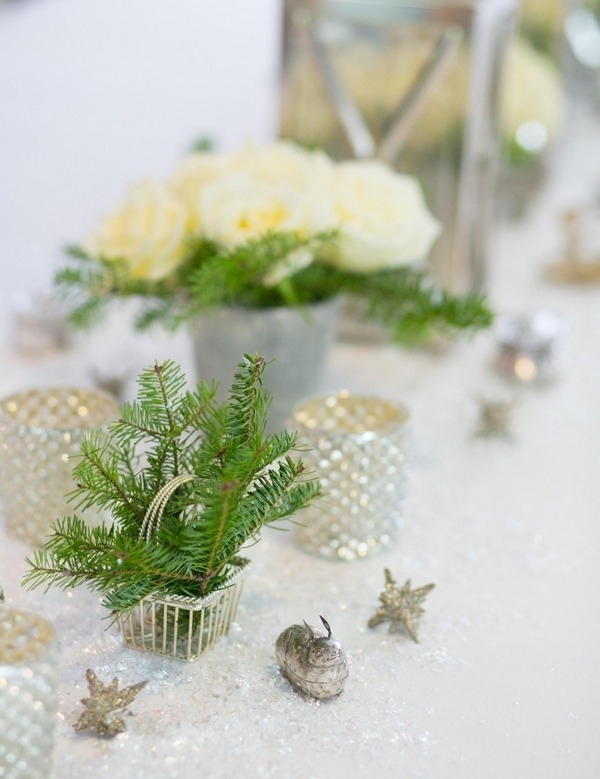 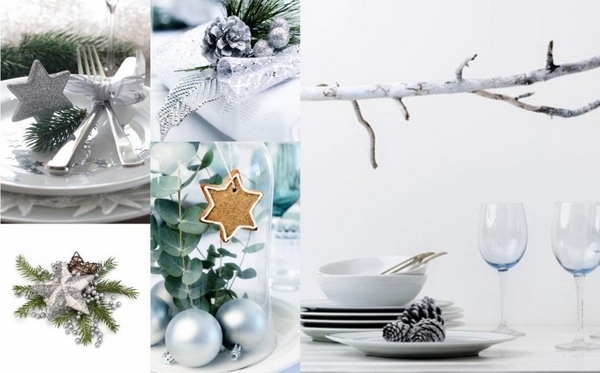 The fabulous ideas for Christmas table decoration in silver and green in the gallery below will show you how to combine not only fir branches, cones, beads and baubles but other house items. 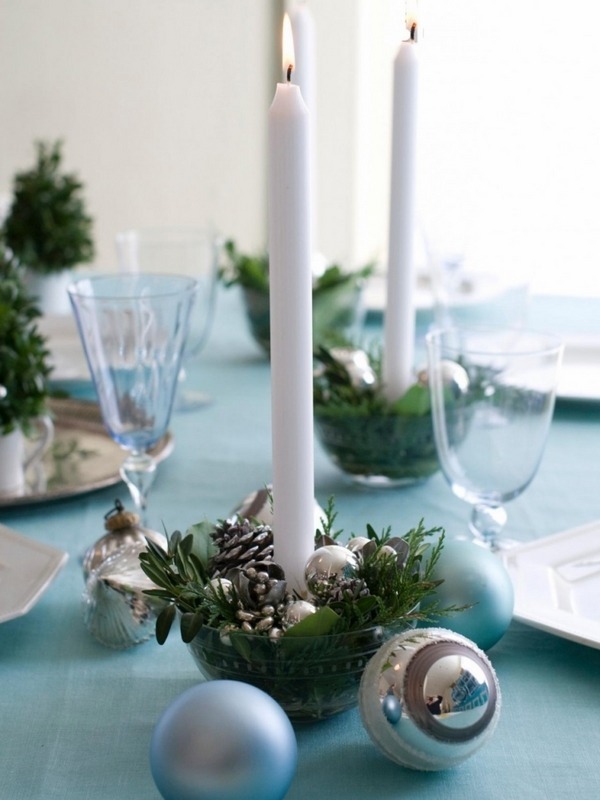 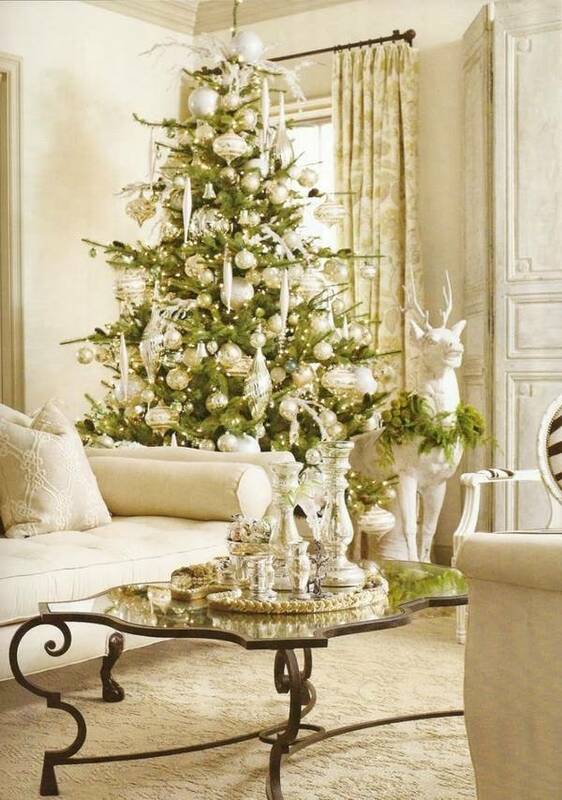 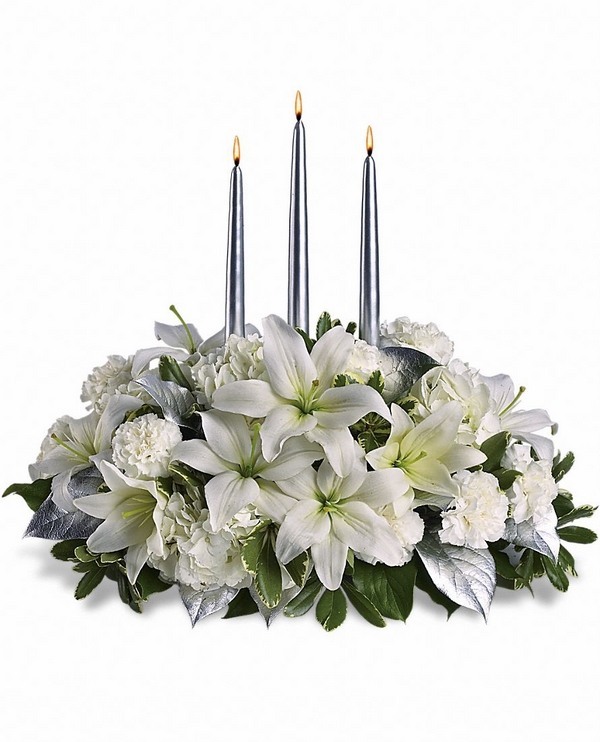 Candles and white flowers will look beautiful if complemented with silver and green tree ornaments. 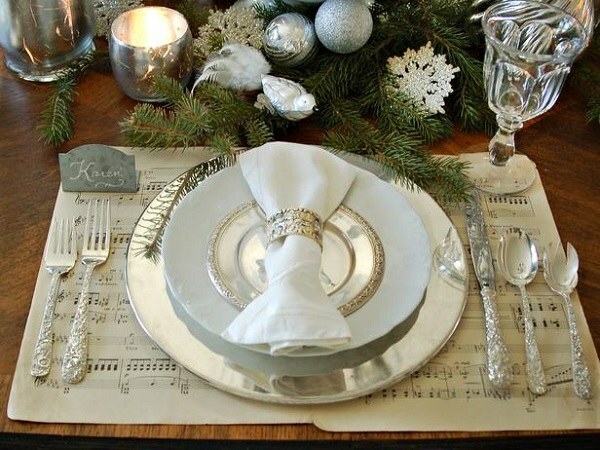 Beautiful dishes and silverware will create a unique table decoration for Christmas.